Elizabeth is a true Alaskan, having been born and raised here. She has a lifelong attraction for natural healing and alternative medicine. Elizabeth took an introductory class for massage therapy in 1999. During that course, she met Tarika Lee, the Founder of the School of Integrating Shiatsu Alaska. Within a short period of time later, she began attending SISA. Here, she learned how to integrate specific breathing techniques with Kata massage. She additionally studied correct body mechanics to tailor to particular body types. Elizabeth specializes in the Lea Method. This training relies on a specific blend of eastern and western techniques to meld both wisdom and technology together. This kind of healing has a strong emphasis on creating a personal experience unique to each person’s healing journey. 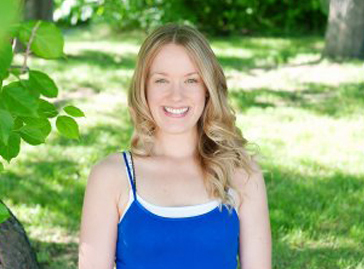 Elizabeth graduated in 2001 from the School of Integrating Shiatsu. She has continued to take a variety of classes to further her education over the years. Areas of study include: Aromatherapy, Advanced Myofascial Training, Chinese Medicine, Raw Food Preparation, Prenatal Massage and numerous classes. For over twelve years, Elizabeth worked as a therapist. She enjoys working on patients of all ages. Elizabeth is committed to continuing her learning on an annual basis. She believes that one of the best ways to achieve a healthy and balanced lifestyle is to receive therapy on a regular basis. Elizabeth enjoys juicing, gardening, biking, reading, yoga, and hiking. She stays active in all forms of martial arts. Spending quality time with family and friends is on the top of her list.